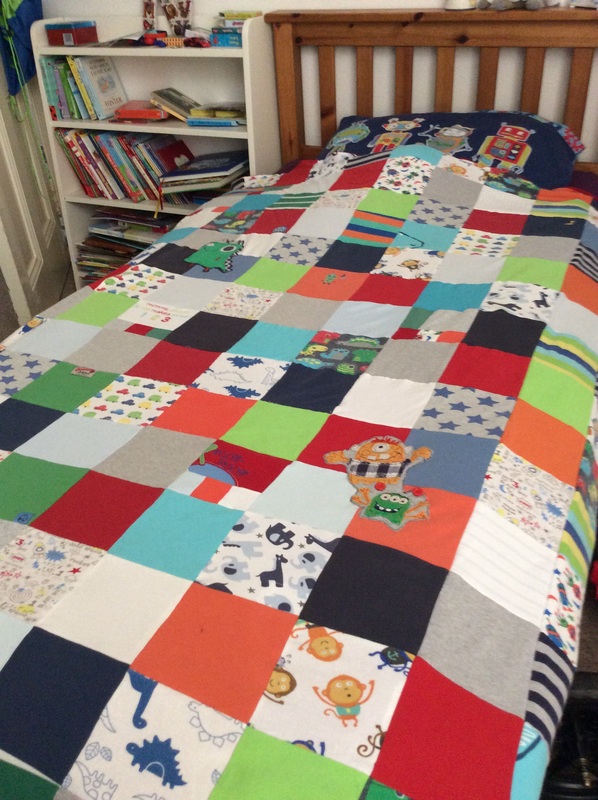 I have finally finished my oldest sons quilt! I may have started this when he was a toddler but he will start big school (primary school) in September! I am blaming time for how long this one took, has anyone else noticed how quickly time has been passing recently… In the last 2 years… ? I swear it is not my fault projects seem to take so long. 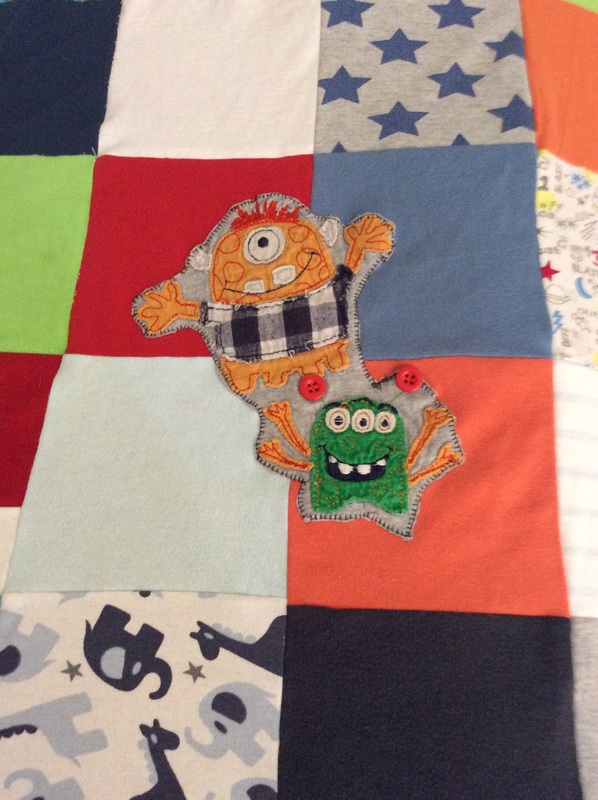 Now technically this may not be a quilt as it has no wadding/batting and is not really quilted. 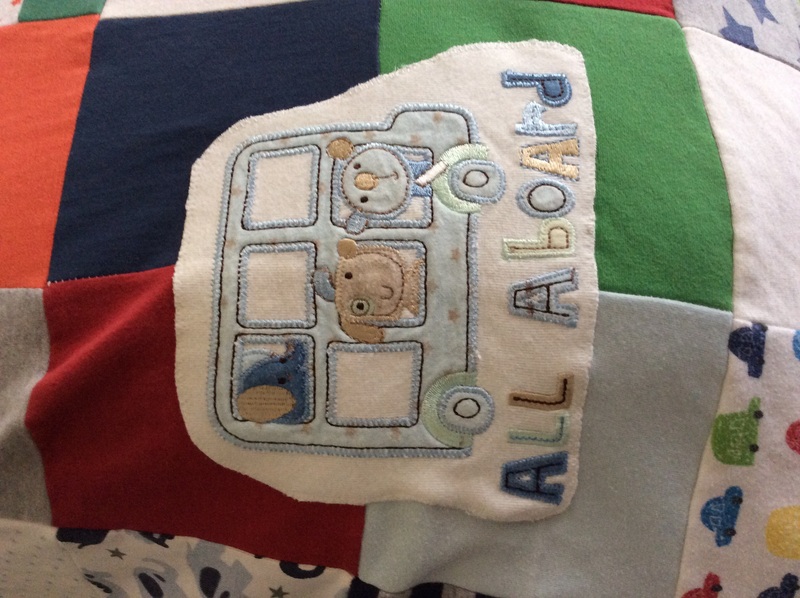 It has a fleece back and the front is patchwork made from my sons baby clothes. 1. It is my first ever FINISHED as in COMPLETED quilt! 2. 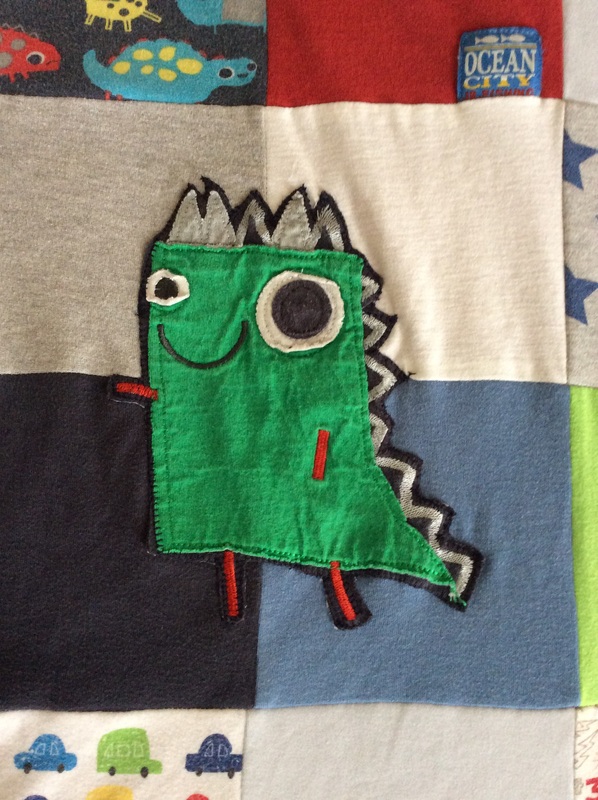 It has appliqué on it in three different places and I can count on one hand how many times I have attempted appliqué. 3. Because my son loved it.